I find it intriguing that, according to family researcher Jan Jennings, no newspaper articles were published about the murder, and according to Dr. Shaw of the letter, no trial took place. It would seem to me that there was a concerted effort to “hush it up,” which makes me wonder all the more about the circumstances of John Jennings’ murder. My grandfather heard a family legend about a man who was a district attorney who prosecuted a couple of young men in Alabama. They broke out of jail and killed the DA. The DA’s widow moved her children to Texas, afraid of retribution against the murderers on the part of her sons, once they grew to adulthood. I think it likely this legend developed from the story of John Jennings’ death, but he clearly was no lawyer of any kind. 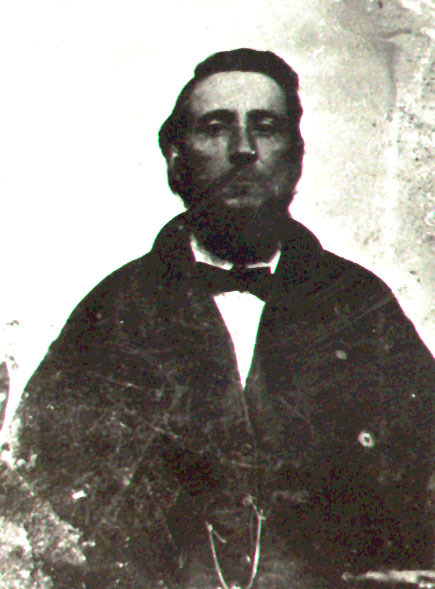 At any rate, Lucinda Curry Jennings moved her children to Honey Grove, Texas in 1880, a full five years after John Jennings’ murder. Lucinda must have repeated this family legend to her granddaughter, Annie Lola Jennings, who would have told it to her son, my grandfather, Udell Cunningham. Update, July 24, 2006: Jan Jennings sent me information she found related to John Jennings’ murder. I will post a followup soon.